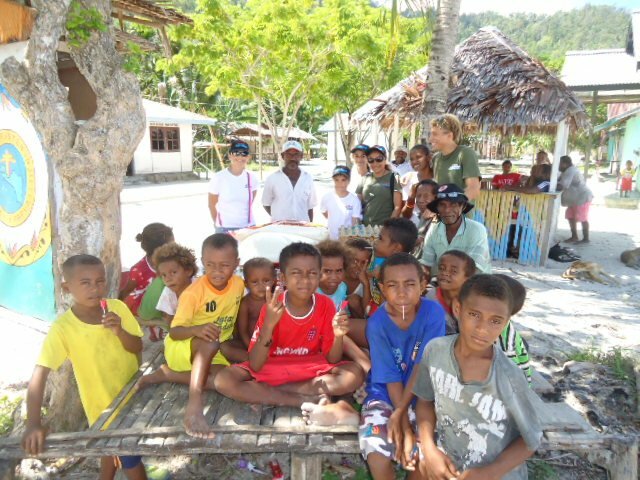 Just a short walk along the beach from Papua Explorers, is our neighbouring village; Yenwaupnor. A picturesque village with brightly painted houses, a church, and a school, like many of the villages in the area Yenwaupnor is filled with shy but friendly locals, and happy kids who follow alongside any visitor who happens to come their way – all wearing some of the biggest smiles you will ever see of course! 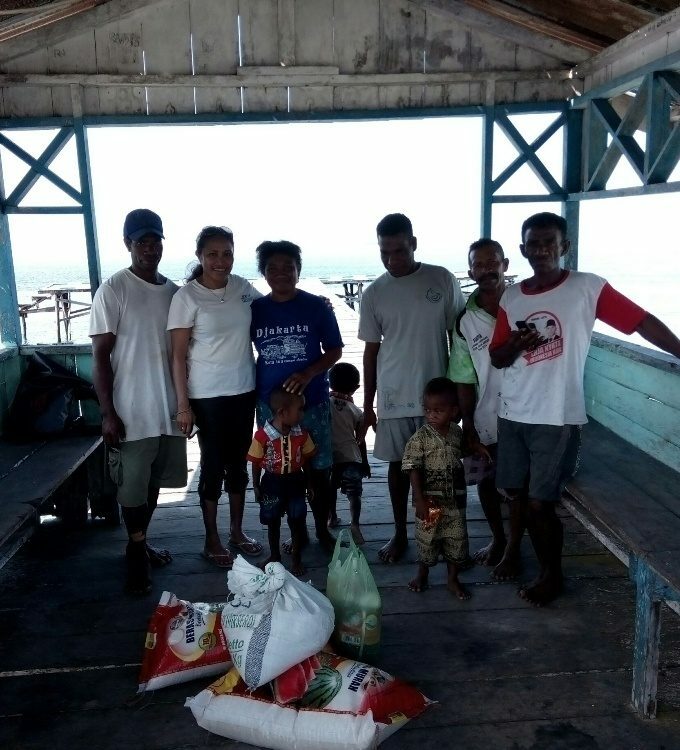 Life in Yenwaupnor is simple, with most local residents having just enough to get by, and relying on subsistence fishing, locally grown vegetables, rice and coconuts for food. 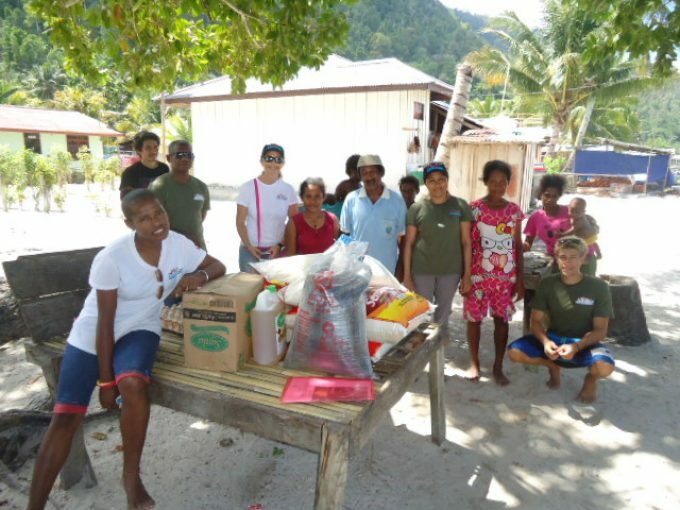 Being neighbours, we work closely with Kampung (village) Yenwaupnor, with many of our staff coming from this village, or having family members that do. And as neighbours and visitors to this area, we do our best to support and work with the people of the village to provide assistance where we can. We provide support by way of donations such as fuel food, or we assist with infrastructure such as building a toilet or where possible providing much needed supplies. 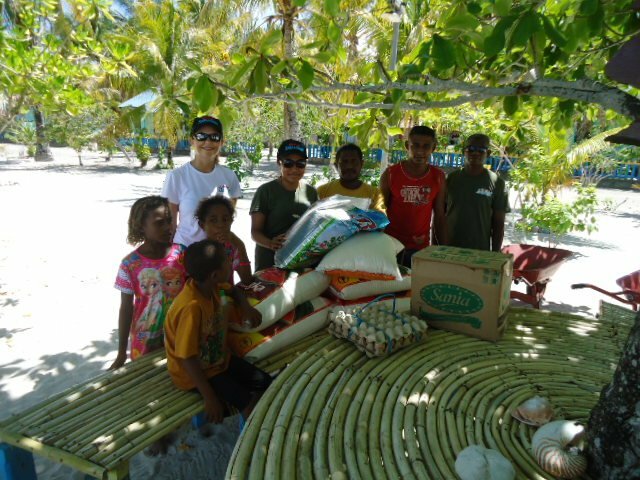 Our guests will often come to the resort with donations for the village, such as pencils and books for the children, clothing and shoes, or even basic medical supplies such as antiseptic creams or bandages. 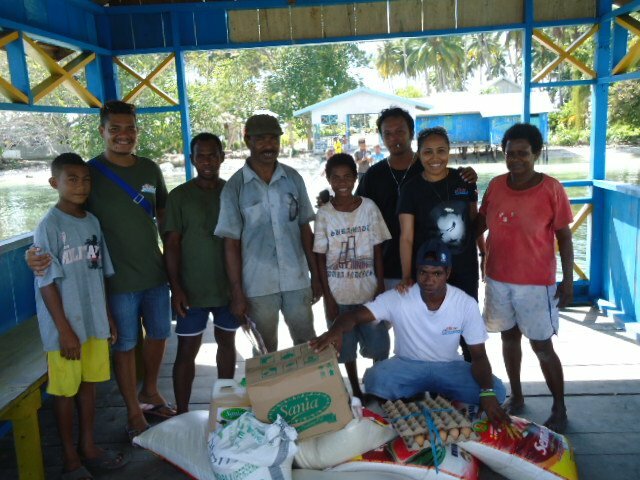 And as time goes, we accumulate and collect the generous donations from our guests, and once there is a sufficient amount, it is one of our great joys to be able to distribute these items to the people of Yenwaupnor, as well as surrounding villages. 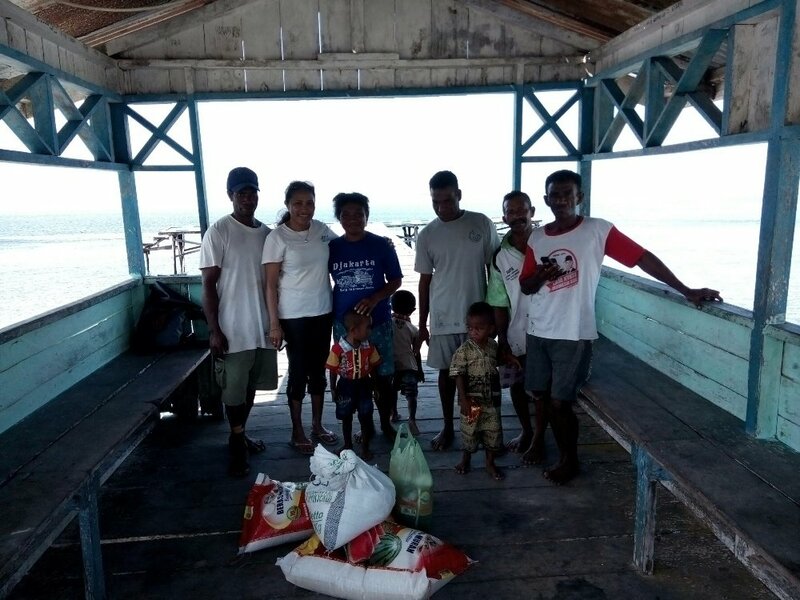 Our recent donations distribution included Yenwaupnor Village, as well as neighbouring villages Arborek, Yenbuba, Yenbukwan and Kapisawar. You can see from the photos that these gifts were very happily received, and there was just as much joy in delivering them! We’d like to thank all of our guests who contribute anything at all by way of donation. Something as simple as a box of pencils brings such great delight to a local child, or a pair shoes, a cap or a football jersey is appreciated so much and holds significant worth to the happy recipient. Thanks again everybody for helping us support our local villages!